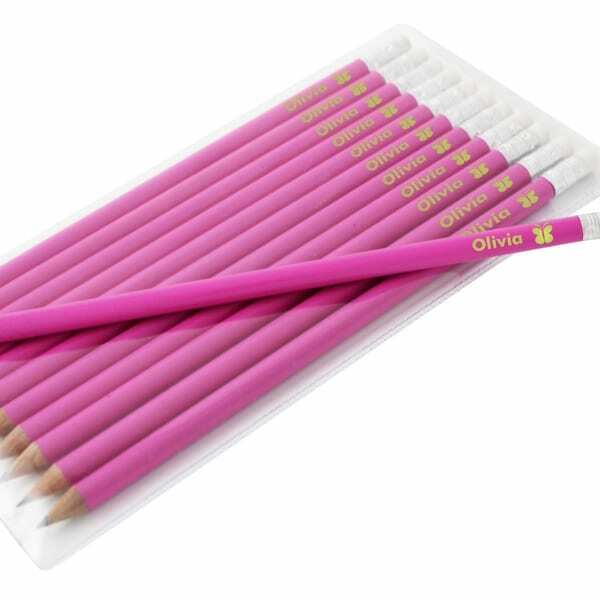 Children of all ages will love these personalised pencils. 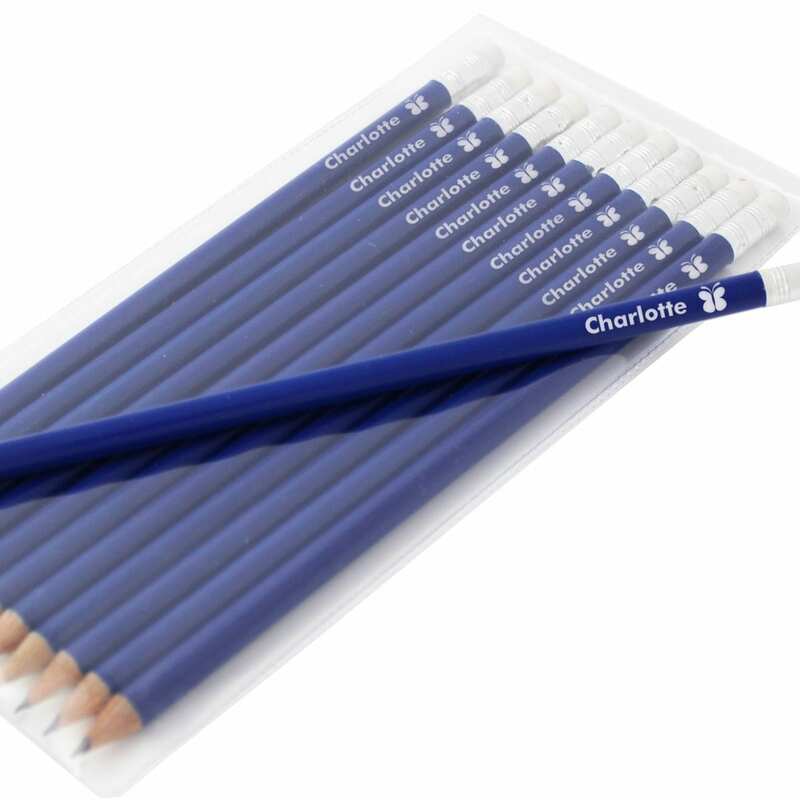 Our personalised pencils come in a set of 12 pencils and each pencil is topped with an eraser. Available in red. blue or pink sets. 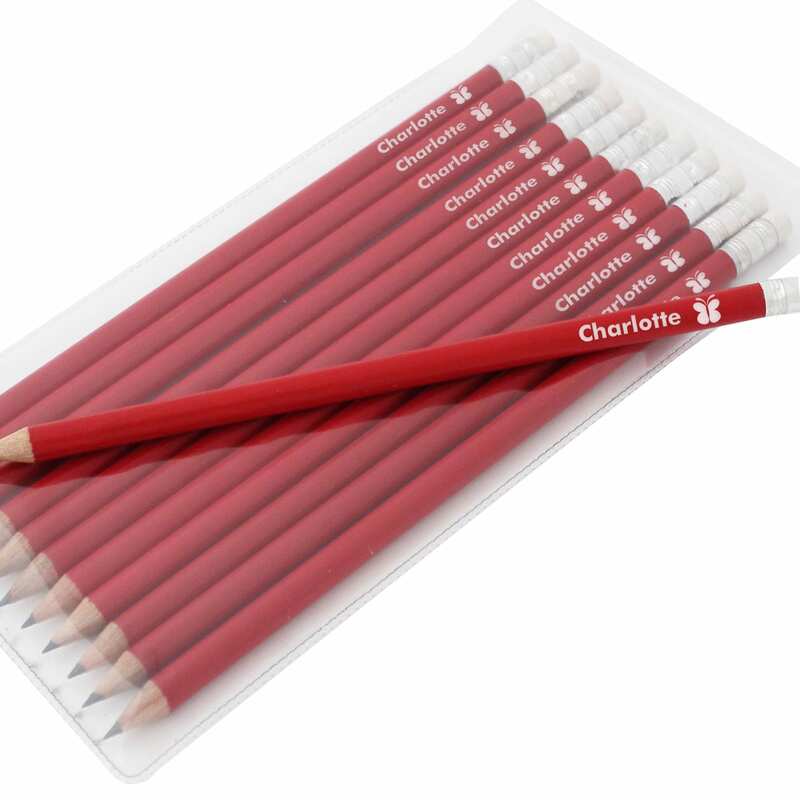 Each pencil is personalised with your chosen name - up to 15 characters. Butterfly icon appears at the end of the name. Names will appear in upper and lower case letters only. Please do not include accents and special symbols as some of our processes will not allow this. This includes accents above and below the alphabetical or numerical text. An ideal personalised present for children starting school, birthdays or Christmas.